Many laws enacted between 1769 and 2014 were specifically created to deny women certain rights and opportunities in life and in the workplace. Some have inadvertently had that effect. Most of these laws have since been ruled unconstitutional, but it's important to understand just how far women's rights in the workplace have come—and how new laws continue to repress the rights of women. American colonies adopted an English common law in 1769 that established women as becoming one with their husbands when they married. Only the husband retained any legal rights after a woman entered into the marriage. A woman ceased to legally exist and essentially become​ the property of her husband when she married. In 1777, laws were passed by every state prohibiting all women from voting in elections. Congress passed the 14th Amendment in 1866, defining how state representatives are appointed by the number of voters. The Amendment identified “voters” and citizens” to be counted specifically as “male." In its 1873 Bradwell v. Illinois decision, 83 U.S. 130, the U.S. Supreme Court permitted states to ban women from practicing law. The U.S. Supreme Court declared women as persons but as “non-voting citizens” in its 1875 Minor v Happersett decision, 88 U.S. 162. 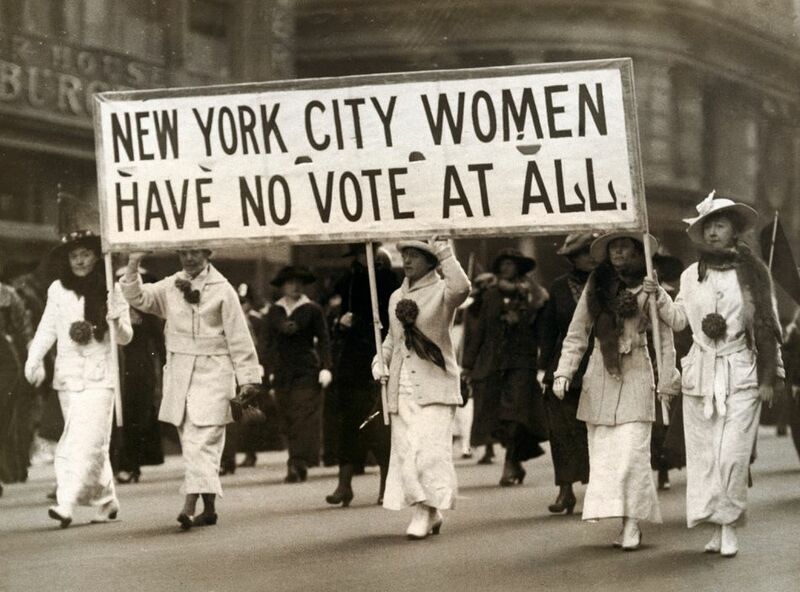 This may have granted women some rights in marriage and other settings, but they were still denied the right to vote. In 1908, the U.S. Supreme Court ruled in favor of Oregon laws that limited women to a 10-hour work day. Muller v State of Oregon, 208 U.S. 412, implied that women are physically weaker than men. In 1924, laws were passed forbidding women to work the night shift in restaurants and clubs except as women’s bathroom attendants or as entertainers. The National Recovery Act was enacted in 1932. This law forbade more than one family member from holding a government job, and it was effective in removing from the workplace women who had filled many jobs while men were fighting in World War II. As men returned to government jobs, women were ousted. In 1981, the U.S. Supreme Court ruled that excluding women from the draft was constitutional. In Burwell v. Hobby Lobby, the Supreme Court ruled 5-4 in favor of Hobby Lobby in 2014, allowing for-profit employers to refuse to offer contraception coverage under Obamacare if they cited religious reasons for doing so. Birth control pills, the most affordable means of contraception, are also used to treat serious health disorders suffered by millions of women. "Approving some religious claims while deeming others unworthy of accommodation could be perceived as favoring one religion over another, the very risk the [Constitution's] Establishment Clause was designed to preclude." "The exemption sought by Hobby Lobby and Conestoga would…deny legions of women who do not hold their employers' beliefs access to contraceptive coverage." Hopefully, women's rights will be improved upon as the millennium unfolds.